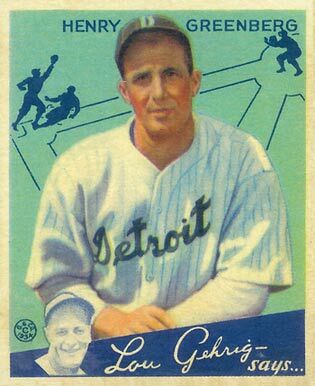 The 1934 Goudey set included 96 major league players depicted on the cards. 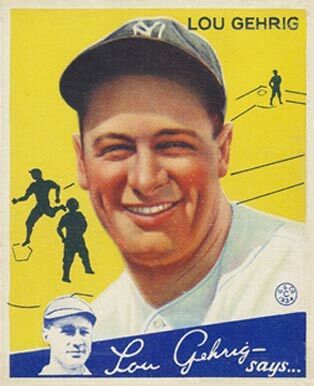 There is one card for each player except cards 37 and 61, which picture Lou Gehrig, the principal spokesman for the set and President of the Knot Hole Club. 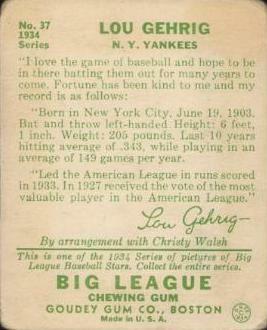 On the bottom front of each card from 1 through 79, Gehrig’s face appears with a saying “Lou Gehrig says.” The back or reverse of the card purports to quote Gehrig and ends with Gehrig’s facsimile signature. 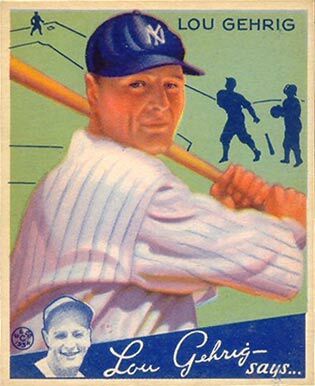 Gehrig’s signature cards include both National and American league players. 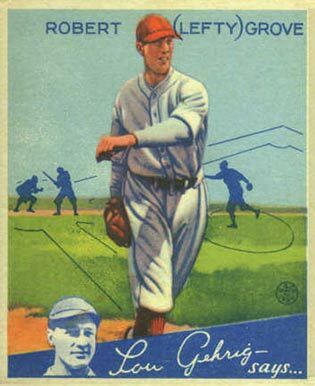 From card 80 through 91, Chuck Klein is pictured on the front with his quotes on the reverse. 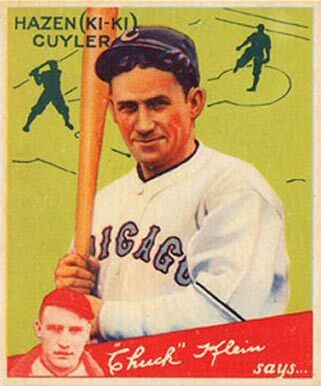 All of the Klein cards are National league players. 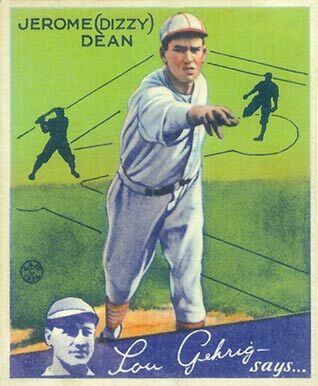 (two Braves, two Cardinals, two Reds, one Pirate, two Phillies, one Giant, one Dodger and one Cub). 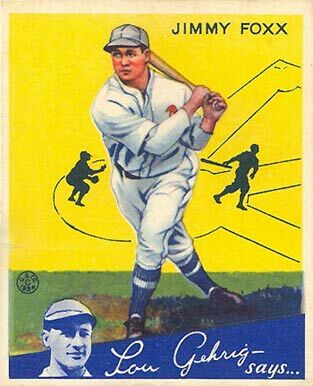 Gehrig’s quote is on Klein’s card #10 and Gehrig quotes himself on his two cards.